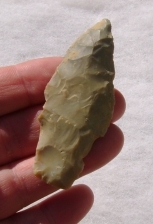 This artifact is from KY. It measures 2 1/2". It is made from Hornstone material.